Apparently I'm getting a late-ish start on my holiday list! Every year, I start listing things I'm putting on my holiday wish list on December 1. For the next 12 days, I'll list things I want, and usually where to get them, as a convenience for those who love me :) Hubby actually asked why there wasn't a post for today yet! I saw something last weekend that I KNEW I had to have. 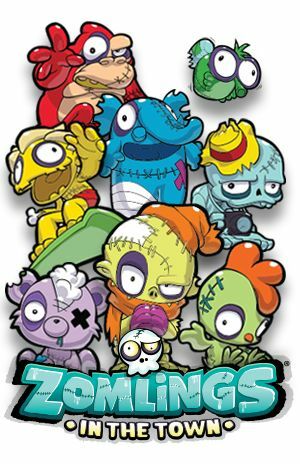 My kids have tons of those little collectible things that serve no real purpose, but none are as creepily adorable as Zomlings! These little guys come in blind bags, or packages, and it looks like usually little houses or hotels. I can build a whole city to relieve stress in my office! I'm slowly walking away from all the Zomling unboxing videos on YouTube right now, but once I get done with end-of-month and caught back up with my to-do list, I think I may need to do some watching to familiarize myself with how best to build my town. Can't wait to get started with my own cute little undead collection!